I strongly believe that patients shouldn’t just pick the first West Palm Beach dentist that pops up when they do a Google search. Finding a dental care professional who fits your needs and who will genuinely care for you as a person is worth the time and effort it takes to research your options. 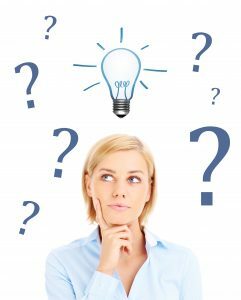 To help you in your search for the ideal dentist, I’ve listed some questions to ask yourself when you’re weighing your choices. How Much Does This Dentist Care? Dentists are businesspeople, so we always have to consider the bottom line. However, a dentist in West Palm Beach should never put money above their patients’ well-being. Look at consumer reviews of past patients in order to get an understanding of how a dentist acts. Are they eager to finish with you and move onto the next person, or do they truly take the time to listen to your concerns? Will they patiently explain your treatment options to you or simply insist that you have a specific procedure done? I always try to give each patient a high level of personalized care, which is why I only have one patient at a time. You deserve my full attention. Most dentists offer all the basic services, such as cleanings and exams, but we often have different focus areas. If you have specific dental needs, be sure to choose a dentist who has experience in dealing with cases that are similar to yours. For example, not all dentists offer TMJ therapy, Invisalign, and advanced cosmetic procedures. Learning to provide these services takes extra time and dedication on a dentist’s part, and if a dentist has put forth the effort to expand their skillset, you can be sure they truly care about their patients. Some technologies that signifies a dentist wants to stay on the cutting edge include digital X-rays, intraoral cameras, 3D Cone Beam imaging, soft tissue lasers. If you have any questions about the gadgets that a dentist uses, feel free to ask. I’m passionate about staying on top of the latest technological developments in my field. Every advancement that can help me provide more efficient, more comfortable care is another way I can take pride in my practice. Do They Want to Make Me Comfortable? Sometimes, it’s the little touches that convince you a dentist wants to build a lasting relationship with you. They should be interested, not just in your oral health, but in your personal comfort. In my office, we always offer our patients little perks like blankets, headphones, and TV to keep them warm and entertained while they’re receiving treatment. We also offer sedation dentistry for those who experience anxiety during their appointments. Choosing the right “dentist near me” can be a challenge, but I hope these four questions will help you settle on one that will give you the top-notch care you deserve. My name is Dr. Mihran Asinmaz, and my goal is always to make my patients feel like they’re important and valued. If you would like to learn more about me, my staff, my services, or anything related to oral healthcare, please contact my office at 561-660-9056.